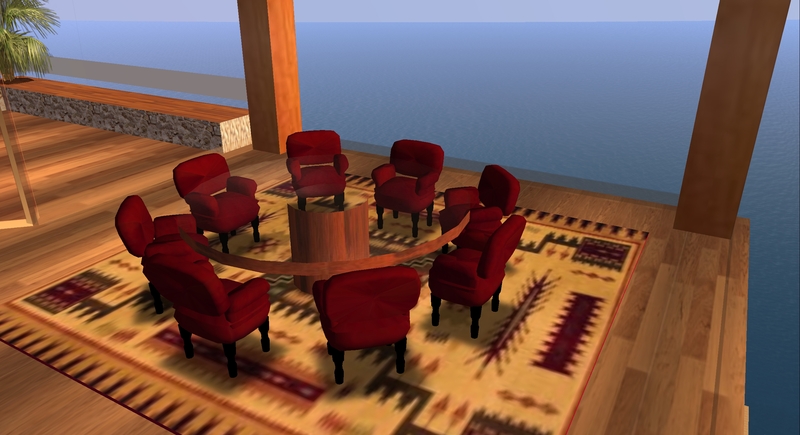 2015 Class summaries | Virtual Environments: Is one life enough? To facilitate a class trip In Real Life (IRL) the time for this weeks class was brought back to 4.00 pm. Some people had a little difficulty finding their way up to the Media Centre because the ‘Home’ landmark brings you to the ground floor – you need to teleport up to the Media Centre from there. 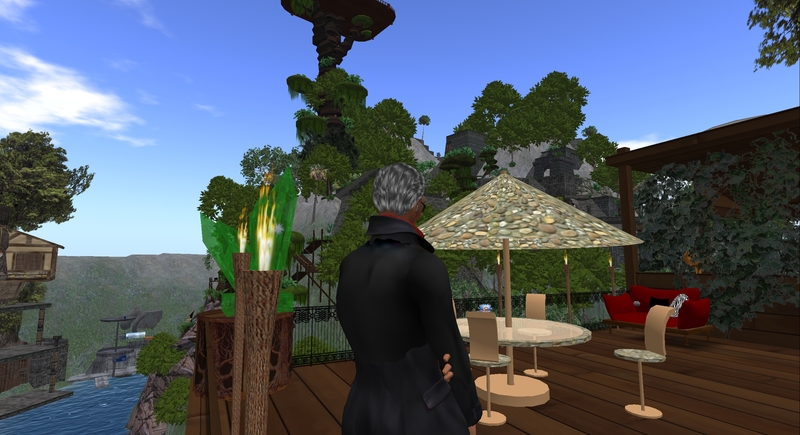 We spoke about the experience of finding interesting places to visit in SL and many of you had difficulty finding places or accessing landmarks. Some of this may have been a result of slow connection speed. So, we visited a few different locations to give you a sense of the variety of SL. First, we went to Lauk’s Nest, one of the oldest locations in SL, and a lovely nature reserve with some interesting buildings and tree houses. We got used to controlling our avatars when flying and trying not to get lost. After a chat about the economy of SL we visited a shop to see how a commercial enterprise works. 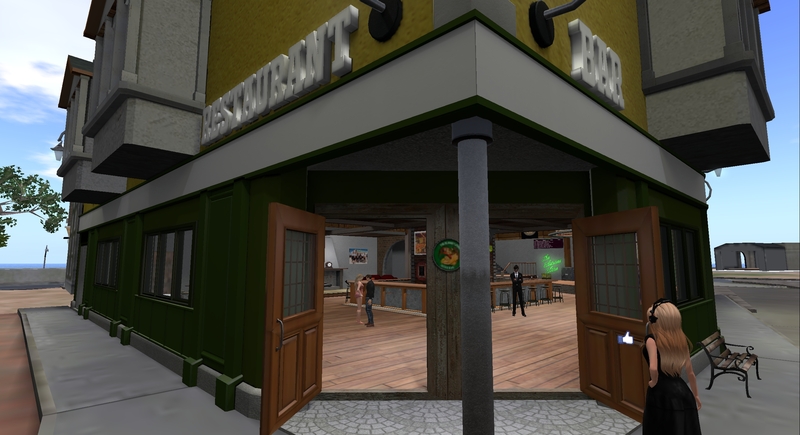 Finally, we visited the Blarney Stone pub in Dublin Virtually Live to meet some of the punters and experience a virtual leisure outlet. The final destination was the only one that did not allow voice. We had all activated the module group so we were able to use private group chat to keep in contact. Returning to the Media Centre there was a brief chat about the importance of keeping your blogs up to date – writing at least one post a week. it is also important that the activities set for the next class are completed. All of you had read at least one of the texts on personal branding but as we ran out of time it was agreed to postpone discussion until next week – giving time for those of you who haven’t yet read the text to do so now! We spoke a little about the etiquette around approaching strangers in SL. John explained that it is perfectly acceptable to approach strangers and talk to them. In this way SL is very different form RL. Generally, avatars are perfectly happy to chat. This may be done via voice or public chat, depending on the avatar’s preference and/or the availability of voice in the location. If you feel uncomfortable or threatened for any reason simple teleport away to another location or log off. Do not hesitate to do so if you meet any aggressive or unpleasant behaviour. SL allows you the freedom and safety to explore in a way you might not in RL. Go: out into SL and make contact with at least two people who you haven’t met before. Write the third post: on your blog describing your encounters. Explore: the website Humans of New York (accessed on 16/10/15) and see how the author has used social media to make an impact – an example being his use of instagram, facebook, twitter alongside the blog. Take note of how he has identified and positioned himself. You are currently browsing the archives for the 2015 Class summaries category.